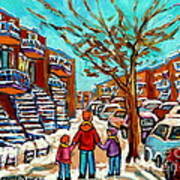 A family is taking a walk on a warm winter's day in Montreal. 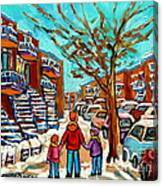 The winding staircases are a common sight in this North American city. 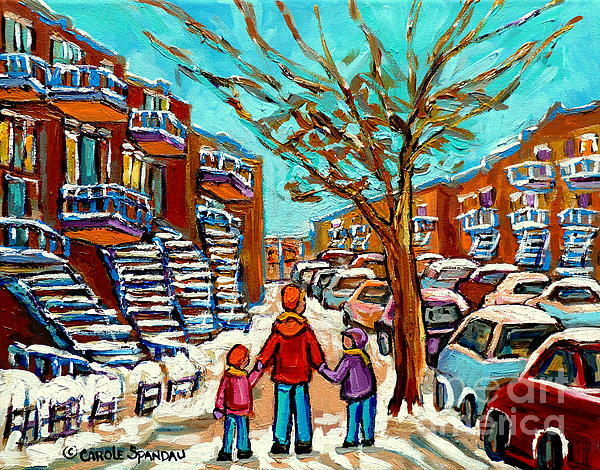 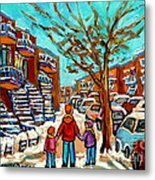 This painting is part of an historical series of paintings depicting the streets of Montreal's diverse neighborhoods, landmarks,charming stores, popular restaurants, depanneurs or corner stores, hockey scenes and much more.